" Failed to Create System Browser.Pane Make sure PTxSCP.ocx is installed and registered correctly ". Although I have encountered this error message before, I just ignoring to think I am using a bad portable A.M.S. but now even the licensed one I still getting the same error. I have seacrh through the internet using the error message as the keyword and I found out what is "PTxSCP.ocx" which is an important DLL file. 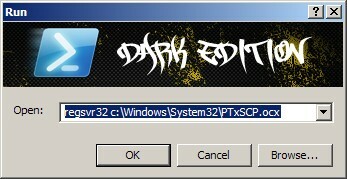 I have know that this error message appear maybe a spyware infect the PTxSCP.ocx file. 2. Press OK and Re-open your A.M.S or any application you are working w/. I realized that the problem was not about the A.M.S but due to a missing DLL file!